The conference explored current challenges to freedom of movement and civic engagement, and analysed grassroots actions of civic campaigning and engagement, in view of the 2019 European Elections. 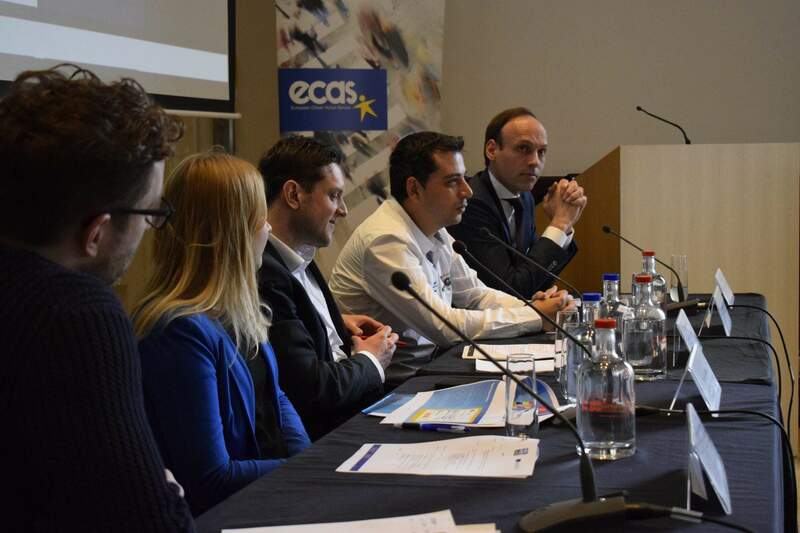 On Tuesday 25 September, ECAS held the first edition of its “State of the Union Citizens’ Rights”, an annual conference aimed at identifying challenges faced by EU citizens. The conference was organised in the framework of the YouVoteEU project, under the Rights, Equality and Citizenship programme of the European Commission, and under the ACT for Free Movement project supported by Thematic Fund on EU Mobile Citizens´ Access to Rights of the European Programme for Integration and Migration (EPIM). “Many efforts undertaken by different groups and civil society are a step forward, but they are not enough. We need to see real mobilisation from political parties, national politicians, those who really reach to everyone. Elections are about democracy, so we will need the backing of the citizens“, said keynote speaker Mr. Jaume Duch Guillot, Director-General for Communication and Spokesperson of the European Parliament. Following the keynote speech, Ms. Marie-Helene Boulanger, Head of Unit, Union Citizenship Rights and Free Movement at the European Commission, gave an overview of the 2017 EU Citizenship Report and presented the elections package, which was recently published by the European Commission, consisting of a number of measures aimed at securing integrity of the electoral process. During the first panel, moderated by Ms. Lisbeth Kirk Iversen (founder of EU Observer and member of ECAS’ Board of Directors) the speakers discussed among the most concerning challenges to freedom of movement and political participation faced by EU mobile citizens. They also suggested solutions to enhance citizens’ inclusion in civic and political life, based on best practices identified. All speakers acknowledged efforts undertaken by the European Commission to improve EU citizens’ participation in decision-making, such as Citizens’ Dialogues and the reform of the European Citizens’ Initiative. However, they emphasized that more needs to be done in order to improve citizens’ trust in the EU institutions, and enhance inclusion, particularly of those who have been disenfranchised and disengaged from any political activity. Given ongoing technological changes, the speakers suggested that the EU institutions should not limit themselves to traditional mechanisms, but should reach for more innovative methods of participatory democracy, including crowdsourcing citizens’ opinions and ideas. “We’ve been talking about the need of a more nuanced set of debates about how the EU can actually democratise over the longer term […] A lot is being done already however the challenge is to try and filter these more macro-level debates on EU integration to more micro-level debates on citizen participation” said Dr. Richard Youngs (Senior Fellow, Democracy, Conflict and Governance” programme, Carnegie Europe). In the second panel chaired by Ms. Elisa Lironi (Digital Democracy Manager at ECAS), speakers focused on analysing grassroots actions that NGOs undertake in order to tackle the challenges that citizens are currently facing. They discussed the current political scenario in view of the next European Parliament elections and the critical importance of civil society organisations in the debate. Speakers reinforced the importance to understand what is really at stake, and the need to act to defend a certain vision of Europe and citizens’ rights that has for too long been taken for granted. Panellists presented concrete initiatives and actions that NGOs have successfully implemented, and suggested that more has to be done. They also added that supporting civic activism is extremely necessary to defend citizens’ rights at this particular moment in time. 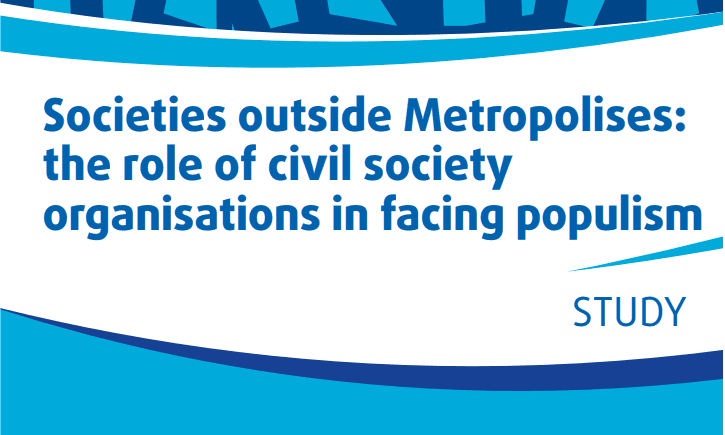 Given how important this discussion is for the next EU elections, it is pivotal to actively support civil society’s efforts operating in a challenging environment and explore new participatory ways of engaging in politics. After the second panel, ECAS announced and presented the launch of Your Vote Matters, an innovative web platform to inform voters on EU policies and connect voters with their current representatives, new candidates or other voters. 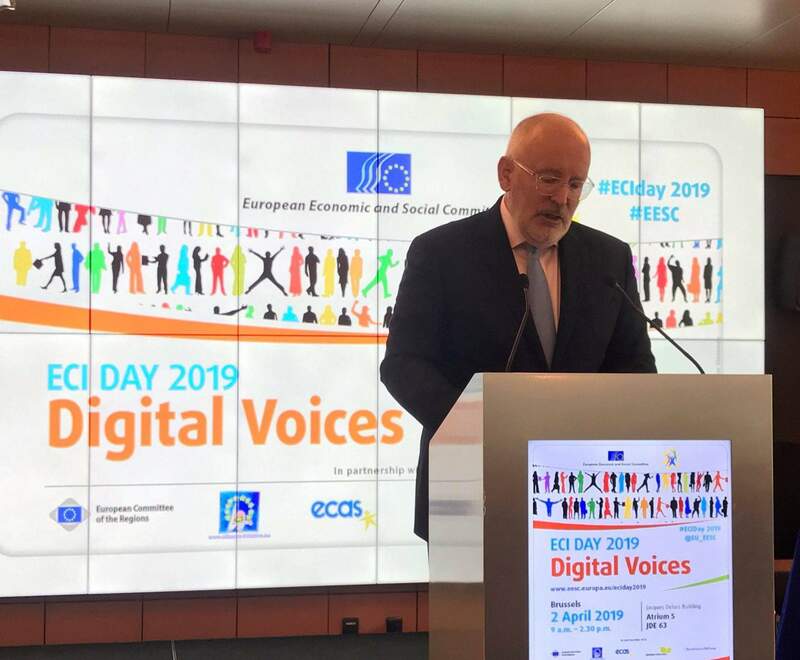 The platform was launched under the framework of the YouVoteEU project, which is aimed at stimulating the participation of EU citizens in the 2019 European Parliament elections and increase the understanding of current and future EU policies. A big thank you to all of those who attended, and who followed us on the live-streaming! A full report of the conference will be issued soon: stay posted for more updates! In case you missed the event, view the live-streaming here. View photos and agenda of the event. And finally… take a look at our illustrated story below!